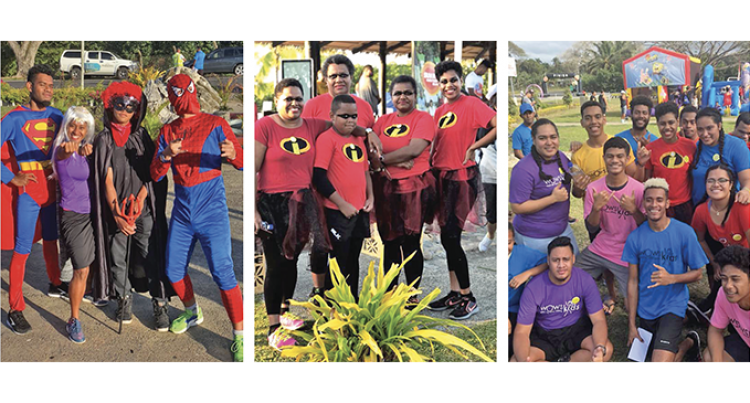 The Walk On Walk Strong (WOWS) Kids organisation for children raised approximately $7000 for its superhero-themed fun run and walk event. More than 600 people turned up for the annual event. The theme for this year is ‘Superhero’. The fundraising event culminated with a ball night at the Holiday Inn Suva. WOWS team leader Viola Lesi said the money raised was from donations. “There were some schools that raised money by selling cookies among other things and some came to our office to give donations,” Ms Lesi said. “The walk was to create awareness. We invited other children’s organisations. Save the Children and Rheumatic Heart Disease (RHD) group were part of the walk too. We are all organisations that deal with children. Ms Lesi said the donations would help with the children’s expenses. “The donations we received will be used for transportation, shopping vouchers, medications and treatment for the children,” she said. “There are 70 children who suffer from cancer in Fiji. The elder is 16 years old and the youngest is barely one-year-old. She was born with eye cancer and she had her first surgery when she was two months old. “The theme for this year is children centred. It is to honour the children who are fighting a battle that is beyond their years and the doctors who have been treating them and for the parents who have been there for their children. WOWS was established in 2014 to fulfill the mandate of the Tae Kami Foundation in Fiji. The route was from My Suva Picnic Park, Vuya Road, Muanikau Road then back to My Suva Picnic Park.